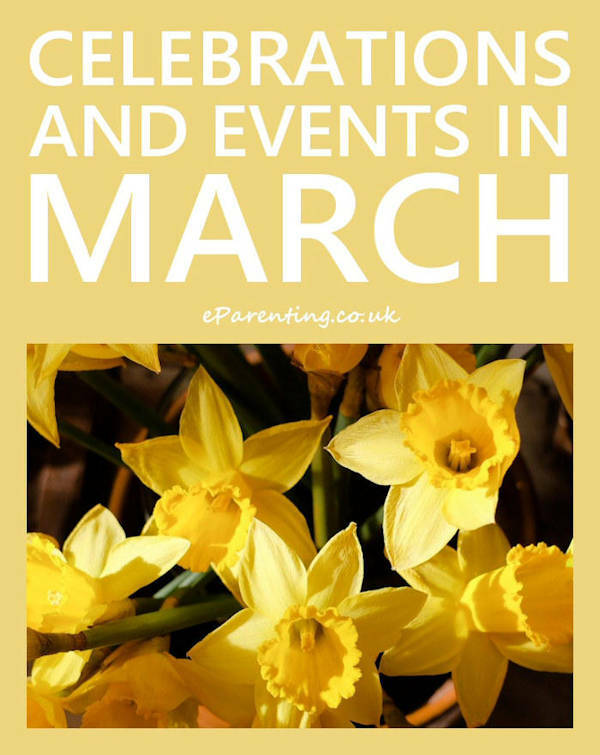 We’re looking ahead to the family movies that will be on release in January and February 2018 in the lead up to the February half term holidays, here are the family -friendly movies that you can see in the next few weeks. Catch up on last year's favourite movies including the LEGO Ninjago Movie, The Jungle Bunch, My Little Pony: The Movie and more which are out any day now on DVD, Blu-ray and to download. We’ve waited a long time for it in the UK, but Disney Pixar’s latest release Coco will finally be released on 19th January 2018. The movie follows the adventures of a 12-year-old boy named Miguel, who finds himself in the Land of the Dead while on a quest to prove his talent as a musician. His family has banned music for generations, but Miguel is determined to defy them and follow in the footsteps of his idol, Ernesto de la Cruz. But when he’s magically transported to the vibrant and colourful Land of the Dead, he sets out to discover the true story of his family’s history. With the voices of Gael García Bernal, Anthony Gonzalez, Benjamin Bratt and Renée Victor. 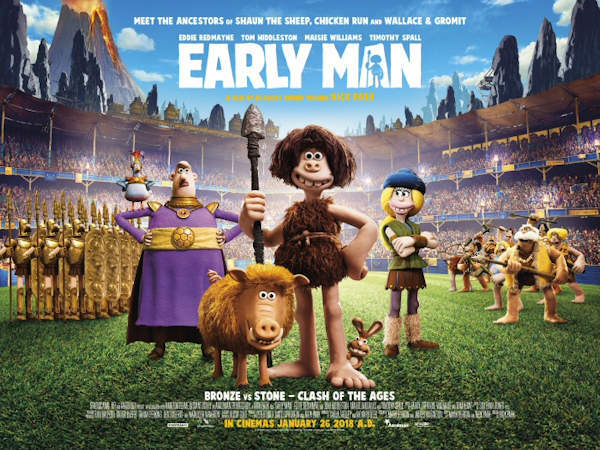 The 26th January sees the release of Early Man, the latest animation from Wallace and Grommit creator Nick Park. 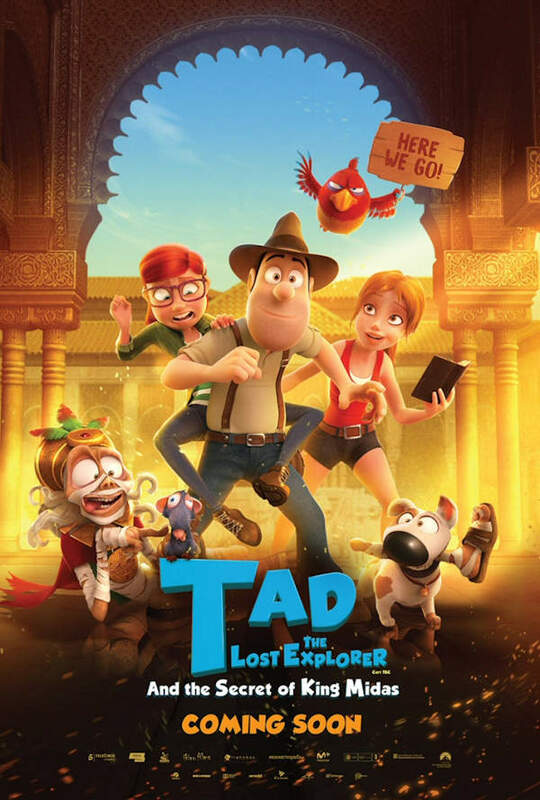 February 9th sees the release of Tad the Lost Explorer and the Secret of King Midas, a Spanish-made movie about Tad Jones, an awkward explorer and archaeology student. History fans will love this true life WWII drama in which Winston Churchill must face one of his most turbulent and defining trials: exploring a negotiated peace treaty with Nazi Germany, or standing firm to fight for the ideals, liberty and freedom of a nation. Starring Gary Oldman, Kristin Scott Thomas, Lily James, Ben Mendelsohn, Samuel West and Ronald Pickup, it is out on 12th January. The family movies released for Christmas that can still be seen at many cinemas across the country. Paddington, having settled with the Brown family in Windsor Gardens, has become popular in his community. He sees a unique pop-up book in Mr. Gruber's antique shop and buys it as a present for his aunt Lucy's 100th birthday. When the book is stolen, it is up to him and the Browns to apprehend the thief. 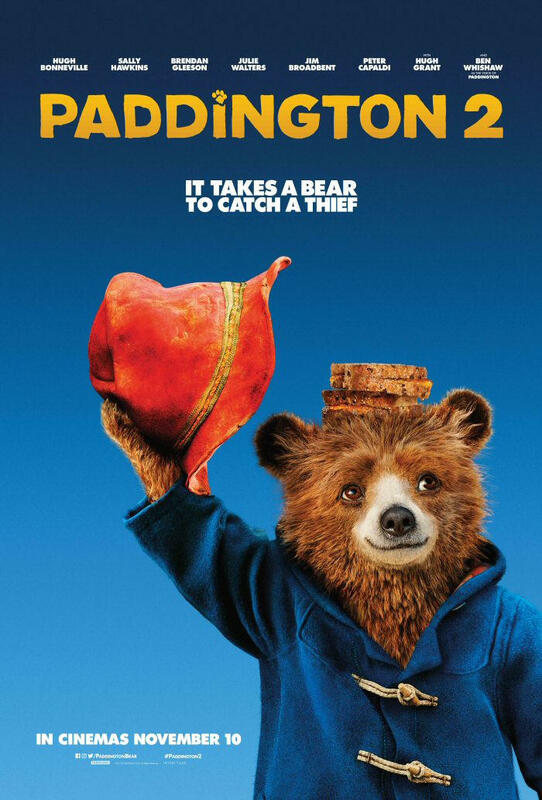 Ben Wishaw voices Paddington again, and the film also stars Hugh Bonneville, Sally Hawkins, Hugh Grant, Julie Walters, Jim Broadbent, Peter Capaldi, Madeleine Harris and Samuel Joslin. Out on 10th November. The second of the Star Wars sequel trilogy, Star Wars: The Last Jedi, will be released on 15th December 2017. It stars Mark Hamill, Carrie Fisher, Adam Driver, Daisy Ridley, John Boyega, Oscar Isaac, Andy Serkis, Lupita Nyong'o, Domhnall Gleeson, Anthony Daniels, and Gwendoline Christie all return in their roles from The Force Awakens. Out on 15th December. Official plot details are being kept under wraps but one thing is for sure; a Porg Plush Figure will be a must have Christmas gift for little Star Wars Fans. This new version of Jumanji (TBA) is an updated-for-the-21st-century reboot of the original movie which starred Robin Williams. Jumanji has evolved from a board game into a computer game and four high school kids are ucked into the game they become their avatars inside the game and the only way out is to play along and finish it. 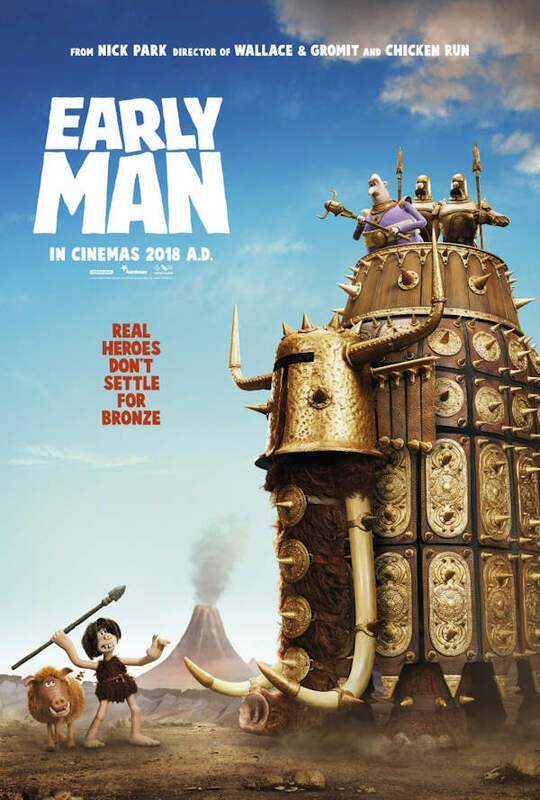 The movie stars Dr. Who's Karen Gillan, along with Dwayne Johnson, Missi Pyle, Bobby Canavale and Jack Black. It is out on 20th December. In Pitch Perfect 3 (TBA), now out of college, the Bardon Bellas are trying to make their way in the world, until an opportunity to perform on an overseas USO tour brings the a cappella team together, one last time. Anna Kendrick, Anna Camp, Rebel Wilson, Brittany Snow and Hailee Steinfeld all return to their roles for this third and final Pitch Perfect movie, which is out on 20th December.